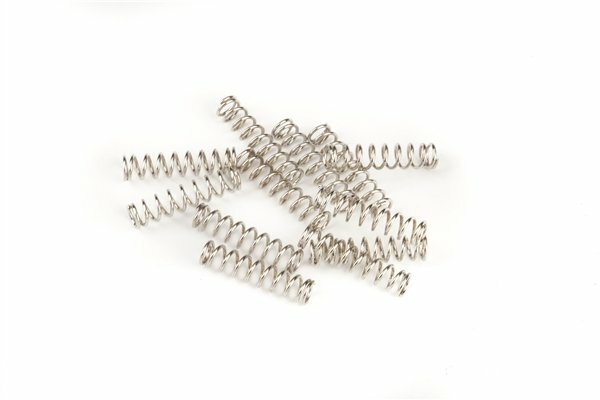 Set of 12 nickel-plated steel springs (.175" x 3/4") for use in mounting pickups on American Deluxe series, Sub-Sonic, Highway One, Cyclone, Classic and Deluxe series instruments with humbucking pickups manufactured from 1997-present. 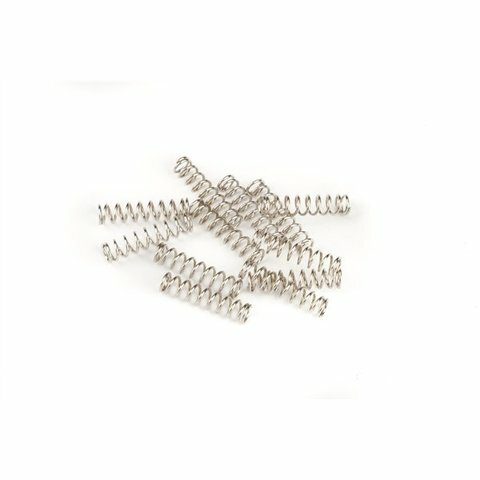 Some of our most requested replacement screws and springs. Made for Fender and used on a variety of vintage and contemporary models. Package contains twelve (.175" x 3/4") nickel-plated steel springs. Used for pickup mounting on American Deluxe Series, Sub-Sonic, Highway One (US), Cyclone, Classic and Deluxe Series (Mexico) instruments with humbucking pickups manufactured from 1997-Present.